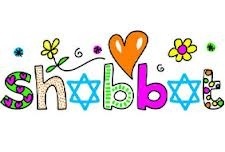 We are publishing the Shabbat Reminder on the JCC of LBI web site. Here is a quick way to see what is going on at the JCC. The Bulletin is now available paperless. If you would like to receive the electronic version instead of the snail-mail version, please contact: Leslie Dinkfelt in the JCC office: 609-492-4090 or jccoflbi@gmail.com with the subject bulletin.